Smoothly, the heart beats a rhythm that pounds out life. Beat after beat, the quiet pounding paves the way for a life lived. As the pounding progresses through the years, its rhythm expresses the reality of the life—of the struggles, of the heartaches, and of the happiness. The heart is a reflection of the life that is being lived. The youthful heart pounds heavily, pumping blood through the body with vitality and force. This rhythmic pounding is full of promise of the life to be lived, and it pushes towards growth and development. The youthful heart feels little pain, but is easily bruised when love is denied by cherished caregivers. Each experience of heartache or love molds the heart into its role as the carrier of emotional stability and physical stamina. The rhythm of the heart changes as the years fly by. Slowing or quickening occur depending on choices made and lifestyle led. The heart provides support for new life being created in the womb. The heart supports through times of crises and despair. It pumps through competitive displays of movement and concentration, and then adjusts for feelings of success or defeat. The heart steadfastly beats, even when it and other parts of the body are abused through malnourishment or mistreatment. The heart ages, and with its aging come reflections in the body. For some, the aging heart is reflected in rhythmic melodies in the mind. For others, the aging heart is reflected in rhythmic movements of the hands (often mistaken for Parkinson’s disease). The aging is natural and is influenced by childhood diseases, physical stamina, and medications ingested. Rhythmic beating from the heart to the body is part of life and its wonder: each heart beating its rhythm, each heart joining in the syncopated symphony that beats on and on in the community of planet Earth! Note: This post was delivered to me through my heart’s connection to Spirit. Aging is exciting when the future is full of promise. At any age, the future can be optimistic if a commitment is made to one’s own talents and interests. A person who is 65 can be as adventuresome as a person who is 25, when passion for causes and interests is allowed to guide day-to-day living. Arriving at middle age is a time for reassessing habits and goals. It is also a time for planning aging so that the future is fulfilling, meaningful, and energetic. Here is a book to help you reassess your current habits and choices and age well. 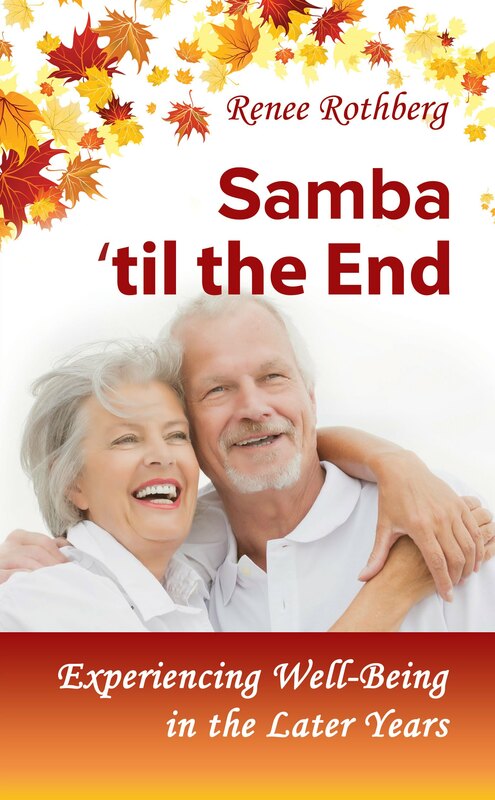 “Samba ‘til the End” is a guide to growing older and enjoying the journey. The book presents specific guidelines depending on your health and outlook. There are several questionnaires to determine the guidelines that suit you. There are assessments to help you create a roadmap to your future. The guidelines present goals for physical, emotional, and intellectual health. They present tips for self-care, maintenance, nutrition, and legacy building. The guidelines can lead towards aging that is rewarding, energetic, and kind. This book can help you age with focus and wisdom. It is available through amazon stores. 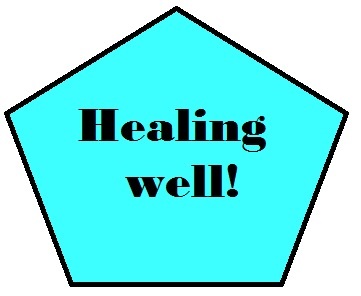 Aging well—guidance for the journey! Here is a book to help you age energetically. “Samba ‘til the End” is a guide to growing older and enjoying the journey. The book presents specific guidelines depending on your health and outlook. There are several questionnaires to determine the guidelines that suit you. There are assessments to help you create a roadmap to your future. The guidelines present goals for physical, emotional, and intellectual health. They present tips for self-care, maintenance, nutrition, and legacy building. The guidelines can lead towards aging that is rewarding and kind. “Samba ‘til the End” looks at aging as a very gradual approach to the end. The gradual approach lasts decades, and it is an opportunity to create meaningful connections and opportunities that fulfill and energize. The gradual approach can be a time of growth, well-being, and satisfaction.